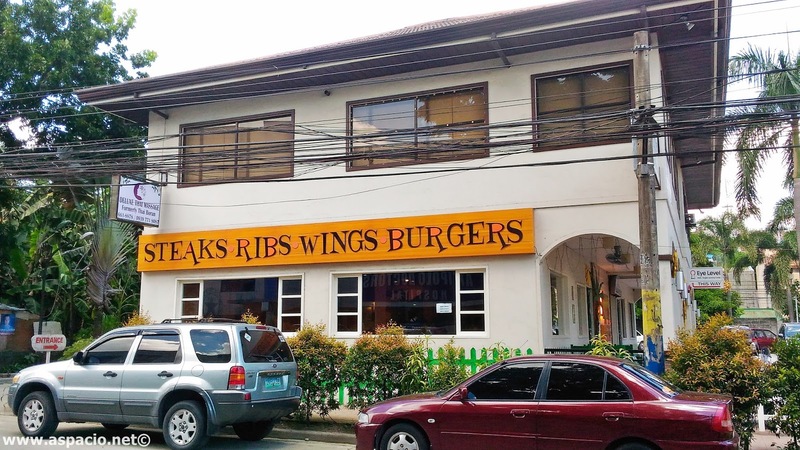 The great steaks, ribs and wings restaurant, viewed from across the street, on M. L. Quezon Ext. Your landmark is Antipolo Doctors Hospital. Beeffalo Antipolo is right across it. Before I go on and write about this favorite steak restaurant of ours, let me just share my family's brief history with them. Back in 2008 (8 years ago), we discovered Hot Rocks, a restaurant owned and managed by husband and wife Louie and Girlie Abad and their partner and good friend Caren Diaz. It was then that I became addicted to their Porterhouse Steak. With my family, we frequented Hot Rocks inside the Club 650 parking lot (right beside Shopwise), which we learned had a first branch along Ortigas Avenue, fronting Gate 2 of Meralco. Suddenly, Hot Rocks had to close because of Nuvo City's development. It was as if I had withdrawal symptoms from suddenly not having any Porterhouse Steak. We tried other steaks but nothing was at par with Beeffalo's (Hot Rock's). An idea then sparked in Louie’s mind, to open a grill-type of restaurant offering what they had at home and all at affordable prices. That was how Hot Rocks was born in an unassuming, out of the way, hole-in-the-wall location at Autocamp in Pasig City and later in Club 650 in Libis, Quezon City. The restaurants were a certified hits among people of all ages, including celebrities and politicians who raved about their mouth-watering steaks and Filipino dishes that offered bang for the buck. But when Club 650 closed down in 2012, Hot Rocks grilled their last. Hello Beeffalo! Louie and his partners ‘resurrected’ Hot Rocks and rebranded and reformatted it until it became Beeffalo by Hot Rocks. Its maiden restaurant was opened in October 2013 along Gil Fernando Avenue in Marikina, far from commercial areas that restaurateurs would normally consider. “ Our location in Marikina was surrounded by unoccupied parcels of land. It was a risky move but something prompted us to do it just the same. And it worked!” Louie enthused. 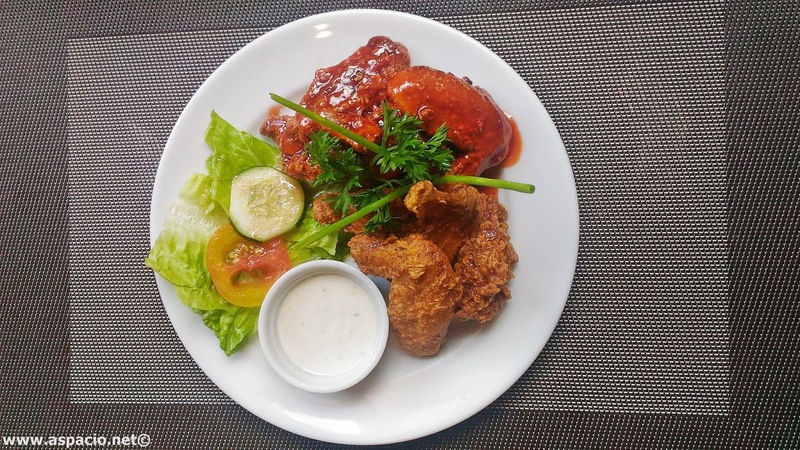 Its success, largely due to the great food at reasonable prices and a homey and unassuming ambiance, led to the opening of a second branch in Antipolo City. As fate would have it, we rediscovered Hot Rocks, now known as Beeffallo when they opened in Marikina. Since then, the whole family celebrates at Beeffallo on special occasions. Below are IG posts that I and my wife shared during two special days last year. So, we've really had a long, long history with Beeffalo. That's why when the new Beeffalo store recently opened its doors right at the heart of M.L. Quezon Avenue in Antipolo City, we had to be there. 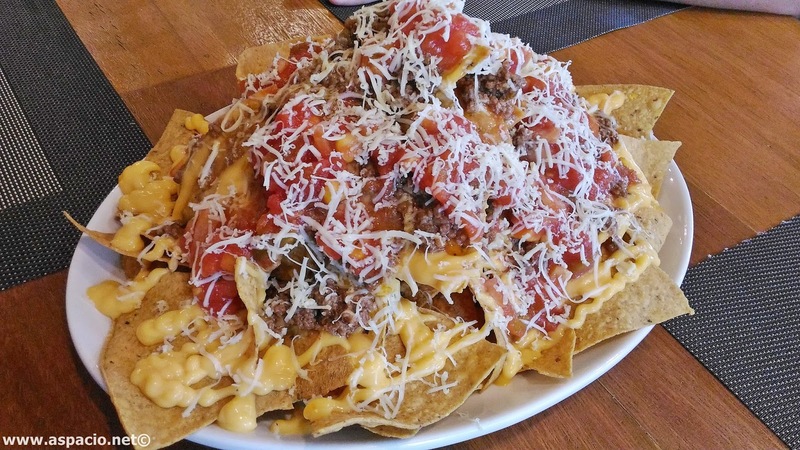 For our appetizer, we shared some Fully-loaded Nachos (Php 285). Taco, meat, corn salsa, cheese sauce and cheddar. 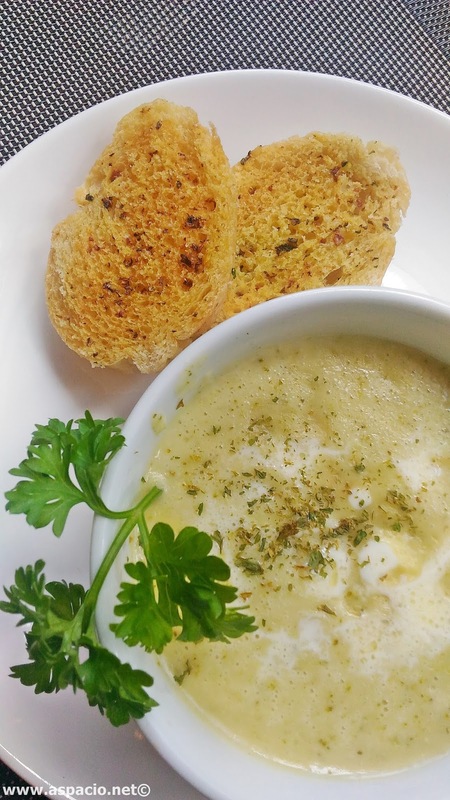 It is recommended to start with Beeffalo’s Broccoli Cheese Soup (Php 120). You may also try their Roasted Pumpkin. These two are sure to whet your appetite. Don't be confused. The sweet dressing is the one with the red, shiny sauce and the hot and spicy is the one without the sauce. People would tend to think it's the other way around - I did. At Beeffalo, there is an array of other comfort food to choose from. Their equally famous Beeffalo Wings with Blue Cheese Dip can be taken with sweet dressing with the hot and spicy. Either way, you will enjoy wings in their lip-smacking goodness. What is Beeffalo known for? If you visit Beeffalo for the first time, don't miss the opportunity to try their Porterhouse Steak! What's with the porterhouse? Well, you've got to learn about steaks and all to maximize the experience. 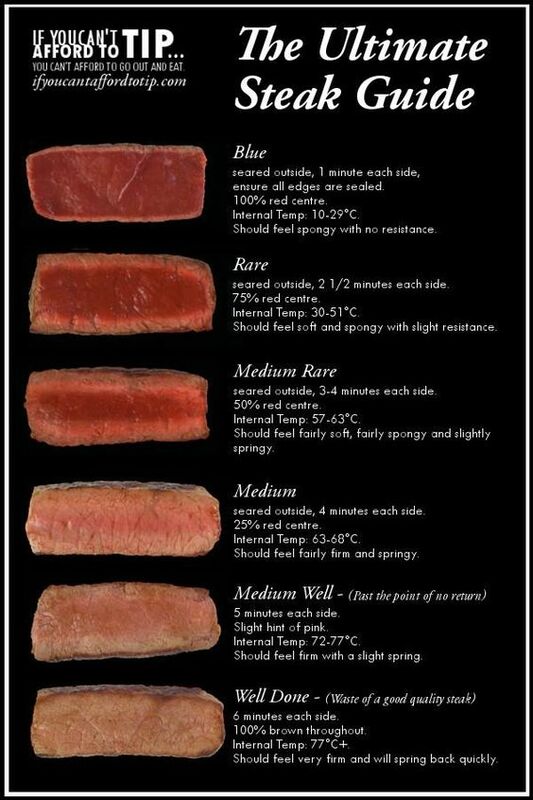 Here's a guide to steaks. Off the bat, you should try it medium-rare or medium if you're not comfortable with too much of the reddish part. 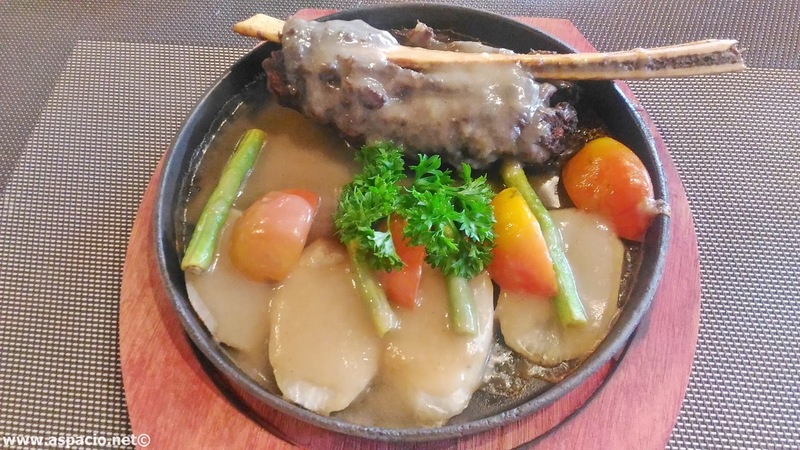 Beeffalo serves steaks that we loved at the former Hot Rocks restaurants in Pasig and Libis. Simply seasoned with salt and pepper, they are grilled the right way that makes all the difference, showcasing the meat’s natural flavor, enough to please even the most discerning steak enthusiasts. 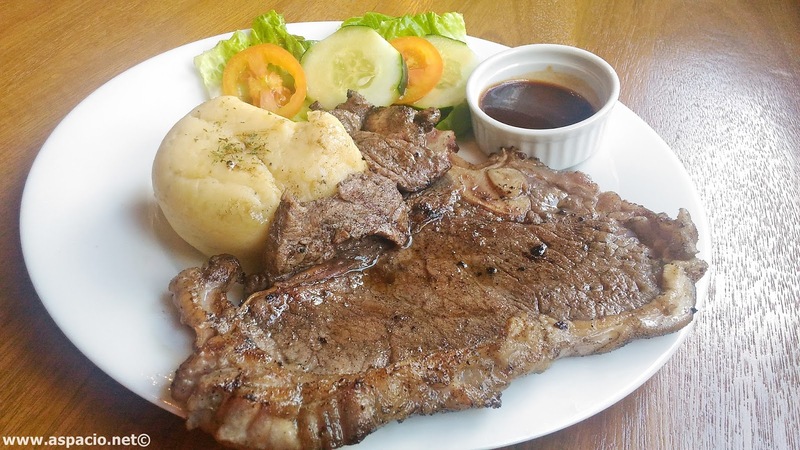 Top on the list are the widely popular large-cut Porterhouse and T-bone steaks served with fresh vegetable salad and creamy mashed potatoes made from scratch. 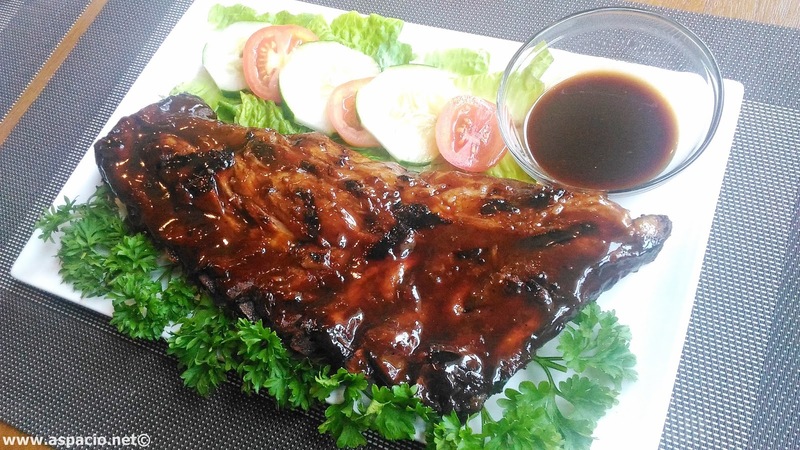 Beeffalo's Baby Back Ribs - Full Rack (Php 765). 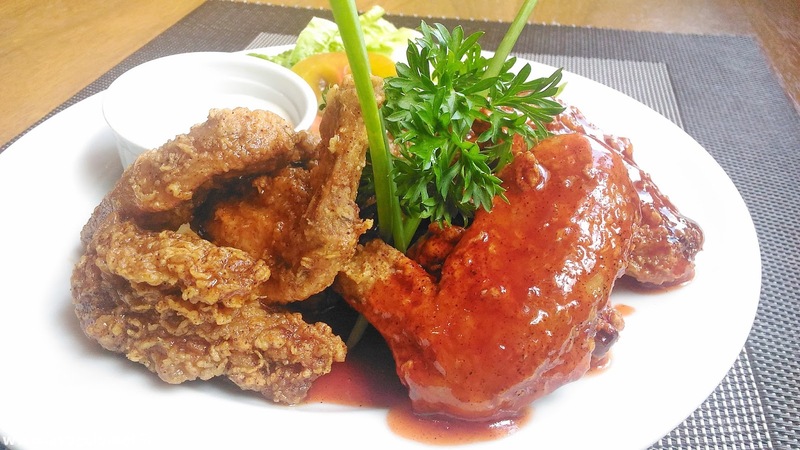 They also serve Baby Back Ribs Single which is served with Java rice (Php 285). Beeffalo also stands for the flavorful beef and meat dishes that are their specialties. Peruse the menu and you’ll see the house specialty, Baby Back Ribs. The meat is ‘literally falling apart’ because it is so tender. It is basted with Beeffalo’s signature barbeque sauce, grilled perfectly until that smokey goodness and fall-off-the-bone goodness are achieved. Tasty Java rice completes an order. My new favorite is one of their rice-worthy mains - the special Sizzling Beef Ribs in Tamarind Gravy, the classic Filipino Sinigang cooked and served the Beeffalo way. 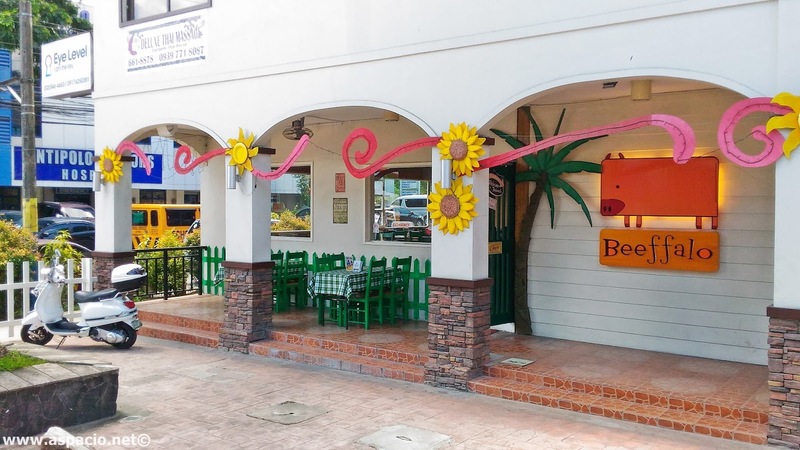 Other must-try dishes include the Beeffalo Burger (with slivers of crispy bacon, served with vegetable toppings and fries as sides) and Garlic Shrimp Pasta (creamy linguine topped with garlic shrimps). 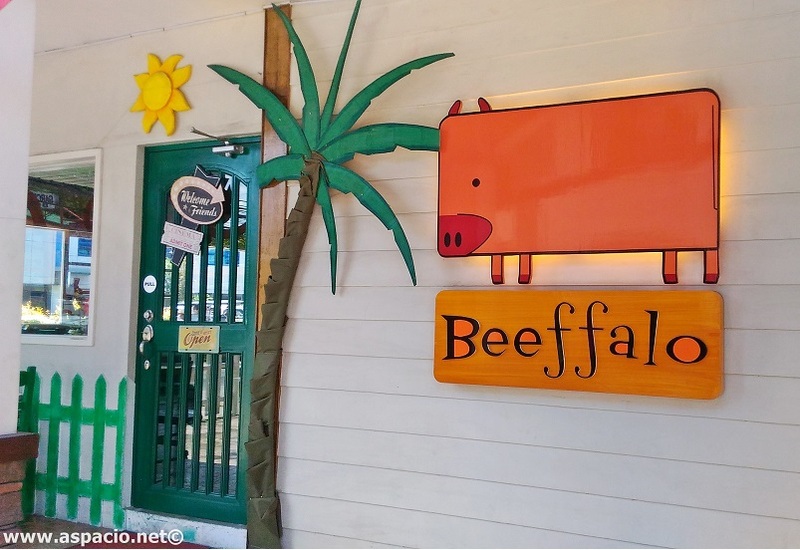 A new look for Beeffalo Marikina City – soon! Louie, Girlie and Caren are happy to share that Beeffalo in Marikina City will soon sport a new look. “It will be more streamlined and updated while maintaining the charm, the sense of randomness and the vibe that made our restaurant a well-loved one from the moment we opened,” Louie explained. It will still be homey, airy and in Louie’s own words, “planty’. “These add what might be call, ‘magic’ or perhaps ‘allure’ to Beeffalo and we don't want to lose that. But we also would like to improve on some design aspects. There is always room for improvement.” The refurbishment is ongoing and will be revealed sometime soon. Watch out for it. Mayor Gil Fernando Avenue, Marikina City (Beeffallo Marikina in Google Maps). Operating hours are Fridays and Saturdays (11am to 12mn); Sundays to Thursdays (11am to 11 pm). For inquiries, call 0939113077.